Throughout the planning stage for our trip to El Dorado Royale, I sometimes wondered if Cathy ever slept. This is because she would respond to our questions seemingly 24/7. This is the kind of service Cathy provides to her clients, and it is the kind of service that can only come from loving what she does and a desire to help people. We were a large traveling group and Cathy was the glue that held us all together and made sure that everybody submitted what was needed on time and in proper order. I can’t thank her enough and look forward to the next time we can take advantage of her expertise in putting together a memorable vacation package. 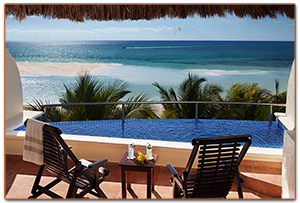 Book your stay at any Karisma Hotel in Riviera Maya, Mexico and receive a certificate for a FREE room upgrade! El Dorado Royale, El Dorado Casitas Royale, El Dorado Seaside Suites, and El Dorado Maroma. Learn More About This Amazing Experience! El Dorado Spa Resorts & Hotels by Karisma are a premier hotel collection operating properties throughout the Riviera Maya, Mexico, where guests savor a Gourmet Inclusive® experience that fosters togetherness. Karisma’s growing portfolio is comprised of El Dorado Royale, A Spa Resort by Karisma; El Dorado Casitas Royale by Karisma; El Dorado Seaside Suites by Karisma; El Dorado Maroma, A Beachfront Resort, by Karisma; El Dorado Generations Maroma by Karisma. 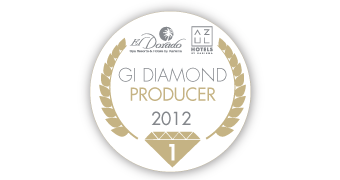 Sunsational Vacations is the proud recipient of the Diamond Producer Award from Karisma Hotels, including the El Dorado Spa Resorts for adults only. This means we can offer our clients special perks when staying at a Karisma Hotel. Ask us for more information. Click Here to Learn About karisma’s wedding packages! What: A pre-scheduled Fam Trip for wedding couples that includes a 3 night stay, meetings with wedding vendors and coordinators, samples of cakes and dinner menus, and more! Contact us for upcoming dates. 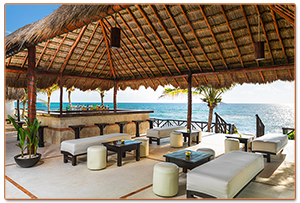 El Dorado Casitas Royale is Mexico’s premiere adults-only all-suite beachfront resort for couples seeking a romantic vacation experience. Couples enjoy in-suite Jacuzzis for two, Aguas del Amor outdoor showers, day beds on terraces, beach beds for two and personalized concierge service. El Dorado Royale is a AAA Four Diamond award winning hotel is located on over a mile of secluded beach; it provides indulgences from gourmet cuisine to Jacuzzis and hammocks in every suite, to a full service spa, concierge service and nightly entertainment. 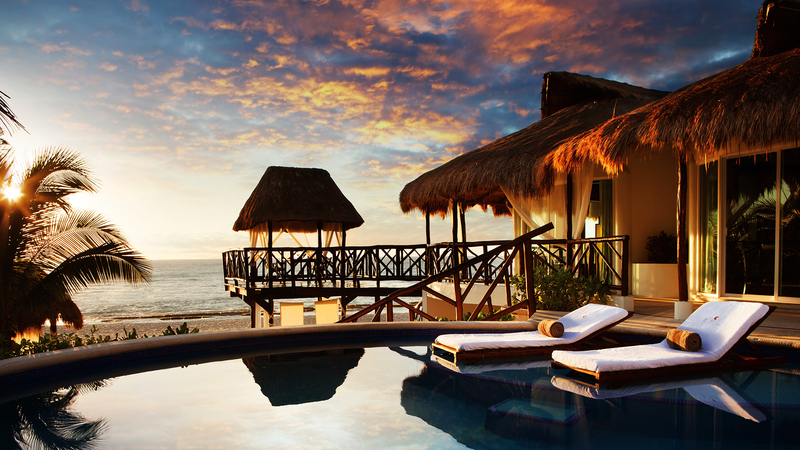 El Dorado Seaside Suites was named one of the most romantic hotels in the world by Forbes. This beachfront adults-only, Gourmet Inclusive resort blends luxurious services such as concierge, 24 hour room service, beach butlers, and Beachfront Sky Massages. 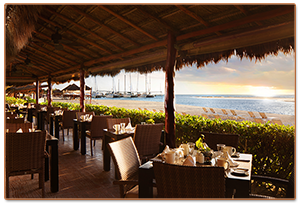 El Dorado Maroma is located on one of Travel Channel’s Top Ten Beaches in the World. Amidst the gorgeous Caribbean surroundings, this upscale, intimate resort with just 72 suites, is perfect for romantic getaways, destination weddings and sensational honeymoons. A year-long celebration of fine wines paired with gourmet food and served under the spectacular skies of the Riviera Maya, Mexico. Each month, The Jackson Family Wines Culinary Series, by Karisma will spotlight a noteworthy chef and winemaker who will work in conjunction with the esteemed Karisma Hotels & Resorts team of Michelin star restaurant-trained chefs and sommeliers to provide guests with interactive epicurean experiences. Special events will include access and insight into highly sought-after wines, vertical tastings, educational classes with sommeliers and winemakers, cooking courses, special pairings and an exclusive Guest Chef and Winemaker Dinner. Our clients will receive coupons upon arrival offering deep discounts to the events, with some of them even being free. Please note that the Culinary Series is available the first week of every month. 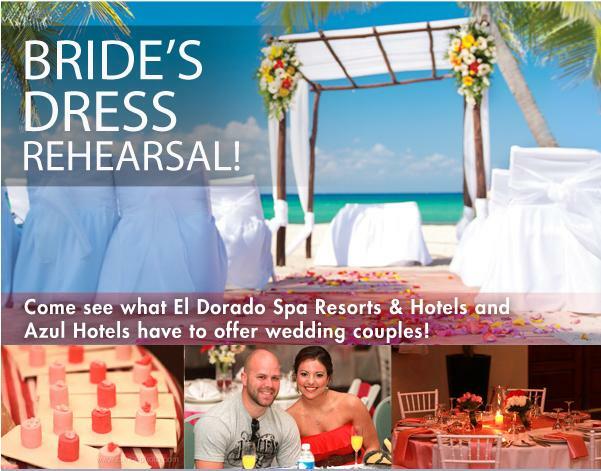 Have you thought about having your wedding at one of the El Dorado Spa Hotels & Resorts by Karisma? Getting married at one of these resorts means getting married in a truly unique and romantic environment! 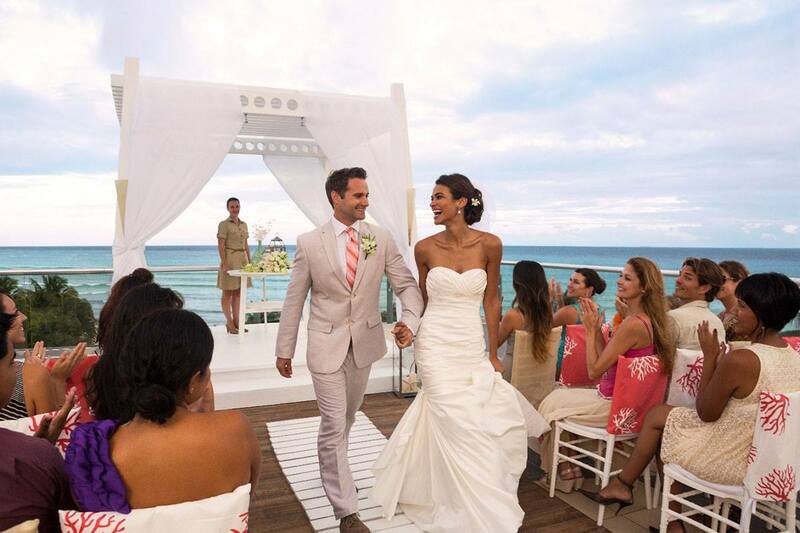 The Riviera Maya is one of the most romantic destinations in the world and getting married here will make your happiest day even more memorable. El Dorado Spa Hotels & Resorts, by Karisma and Azul Hotels, by Karisma offer the perfect location for a dream wedding followed by an unforgettable honeymoon. Whether you want to be active exploring the exciting Yucatan peninsula or relaxing in the sun and each other’s arms, there’s something for everyone in this tropical paradise. Weddings performed in Mexico are legally recognized! The cost of a totally romantic wedding and honeymoon at one of these resorts still costs only a fraction of a home town wedding reception! 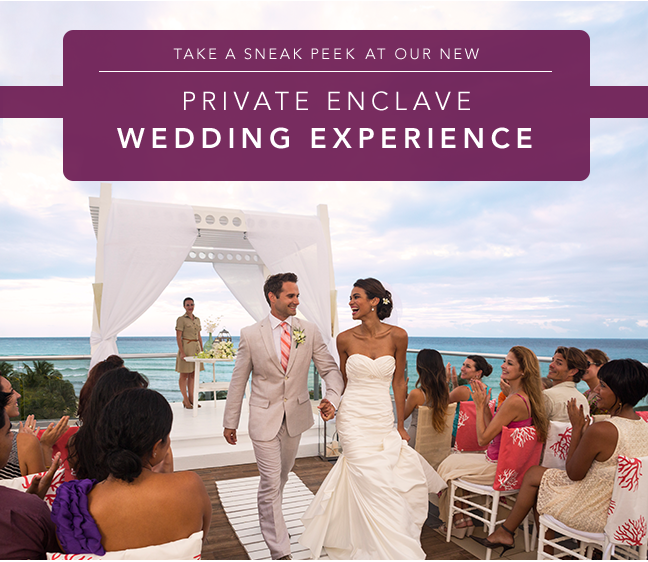 Each one of these award winning hotels offers only the finest in accommodations and services making these one of the best choices for a destination wedding and honeymoon event of a lifetime. There are distinct locations and settings for you to choose from as the location of your wedding, from a beachfront wedding chapel, an intimate gazebo overlooking the turquoise Caribbean or a sky terrace under the stars. Karisma Hotels specialize in romance! All of the Karisma resorts are Gourmet Inclusive beachfront properties with amenities created for wedding couples, newlyweds, honeymooners and everyone celebrating love! Karisma Hotels employs a dedicated team of wedding professionals both on site and offsite whose sole job is to do nothing more than attend to every one of your details ensuring you a lifetime of treasured memories. Each one of the Karisma resorts offer attractive wedding packages as well as individual wedding and romance options allowing you to customize your dream day. There are two of the most beautiful chapels on site at the El Dorado Royale and El Dorado Maroma resorts. 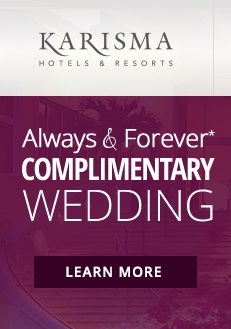 If it’s a religious ceremony you desire, you never need to leave your resort! 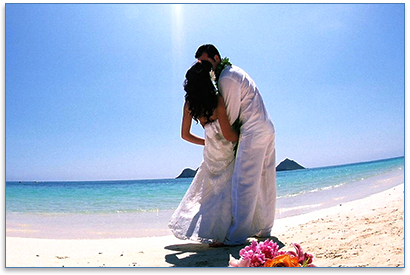 Getting married at any one of the Karisma resorts includes a spectacular honeymoon as well. Getting married at a Karisma resort allows you to leave all your daily worries behind so you can concentrate on what’s truly important; spending quality time with the one you love. Picture yourself saying “I do” to the soothing sounds of the ocean breeze and a sunset backdrop as you and your loved one start a new chapter in life together. The moments that define a person’s life are precious. Let us help you to create some magical memories that will last a lifetime! 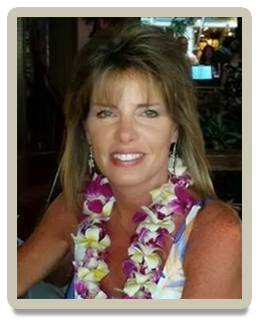 Cathy Jackson, Owner of Sunsational Vacations, is a Diamond GI Vacation Consultant for Karisma Hotels.